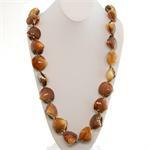 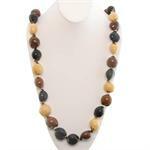 18" brown kukui nut choker lei with wood and bone fish hook. 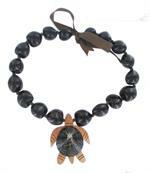 Kukui nut lei w/ blue honu (turtle). 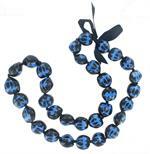 32" black kukui nut lei with blue honu (turtle). 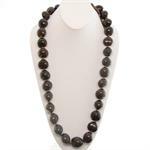 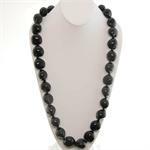 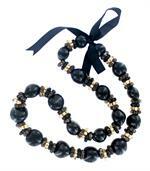 28" black kukui nut lei with coconut beads. 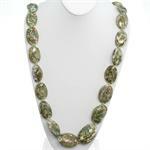 32" black kukui nut lei with white honu (turtle).